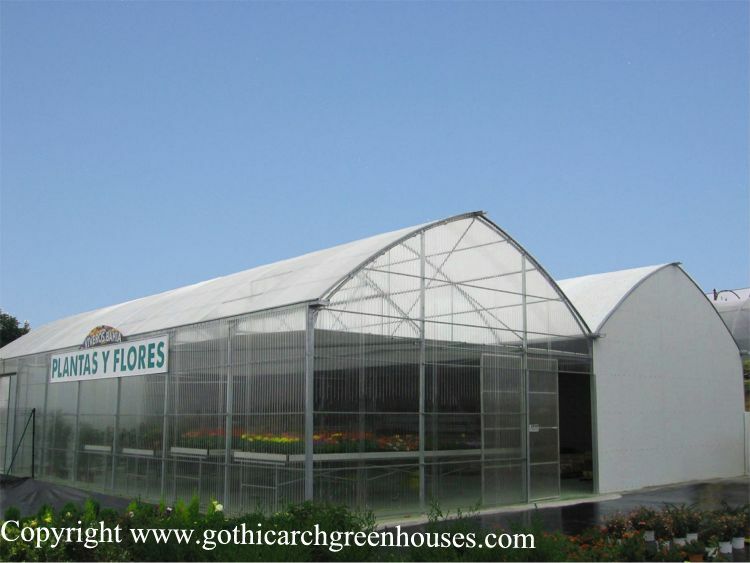 protected from excessive cold, rain, wind and snow by closing the roof. 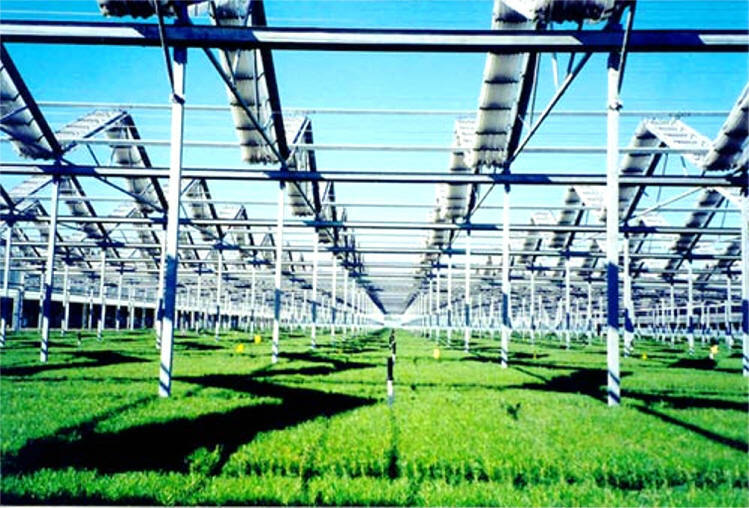 protected from excessive UV and infra-red radiation by closing the roof 85%. 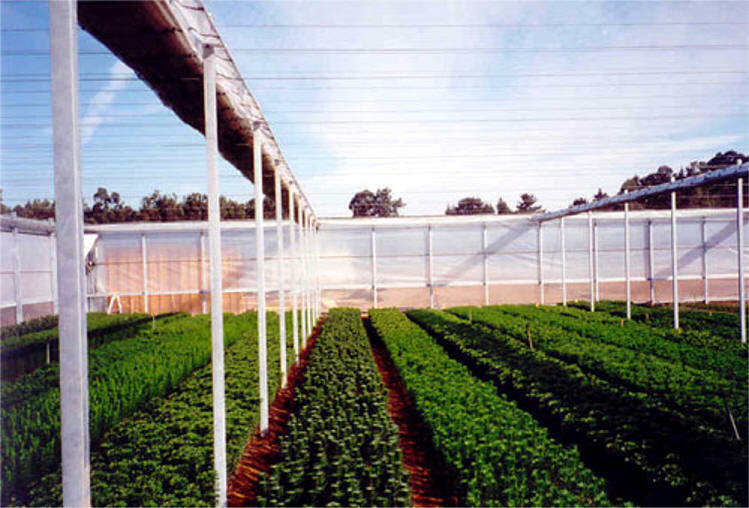 Winter production is energy efficient since the clear woven curtain can be closed as an energy curtain to create two layers of poly. 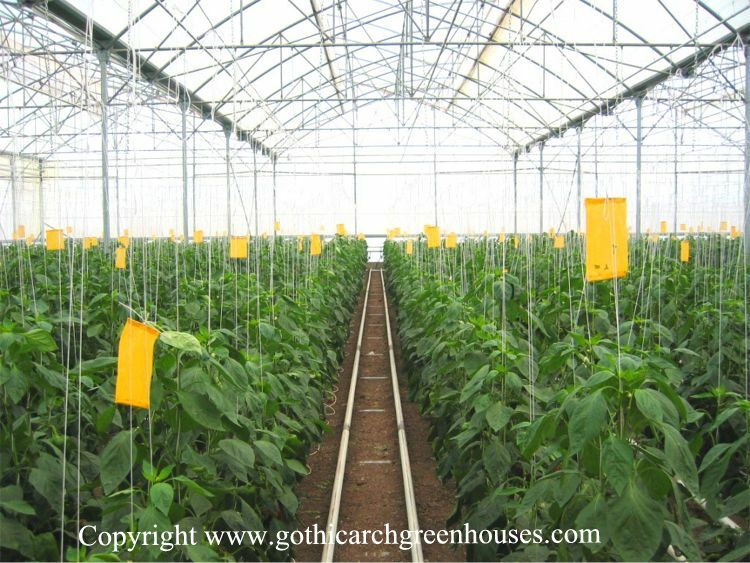 Curtain could be closed on extreme cold days to reduce energy costs without significantly reducing light levels. 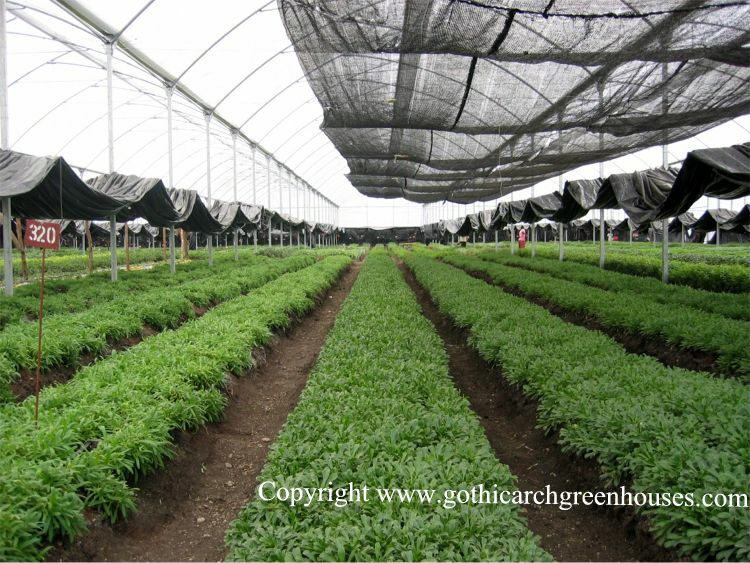 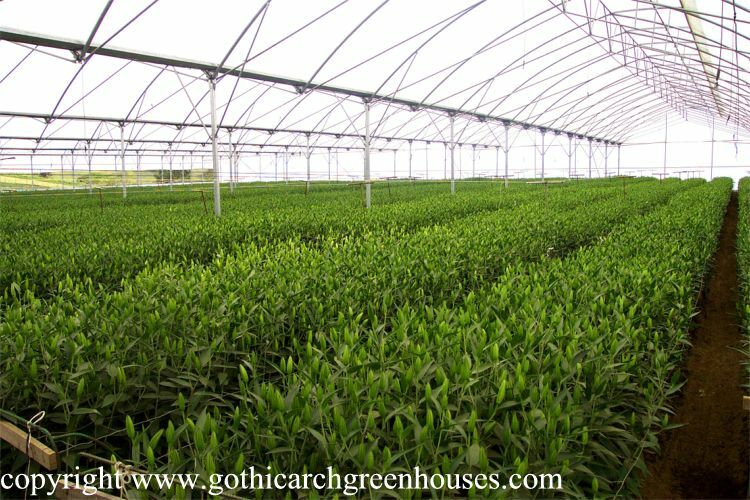 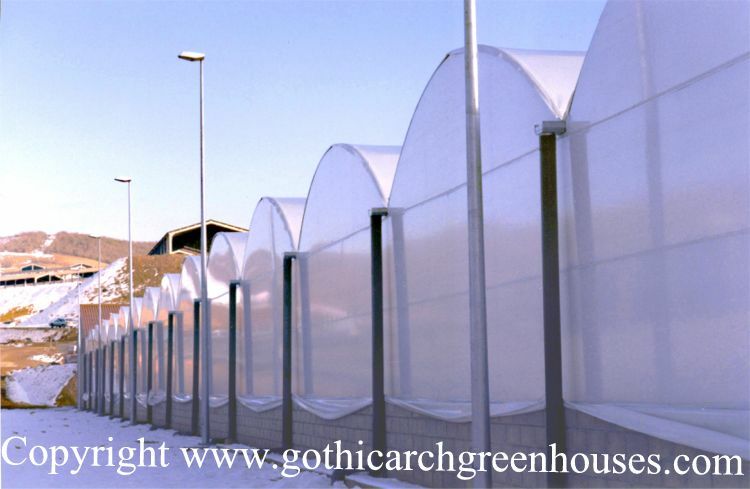 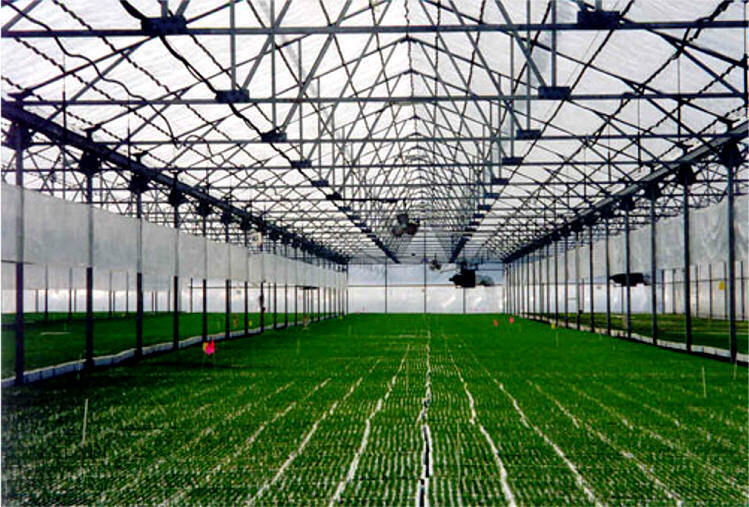 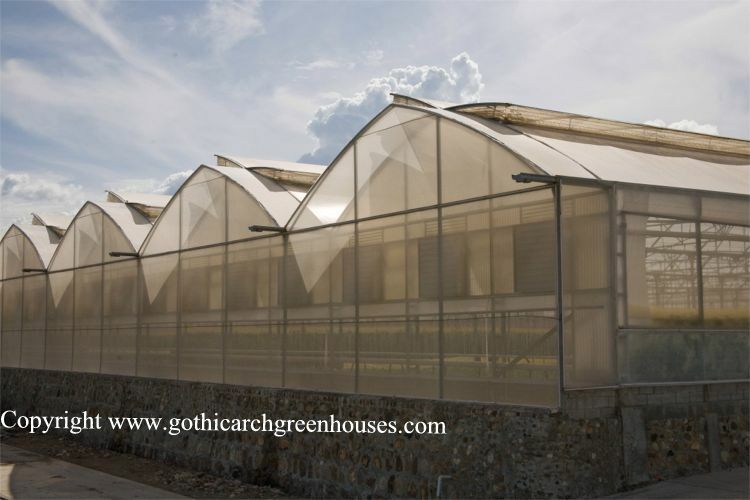 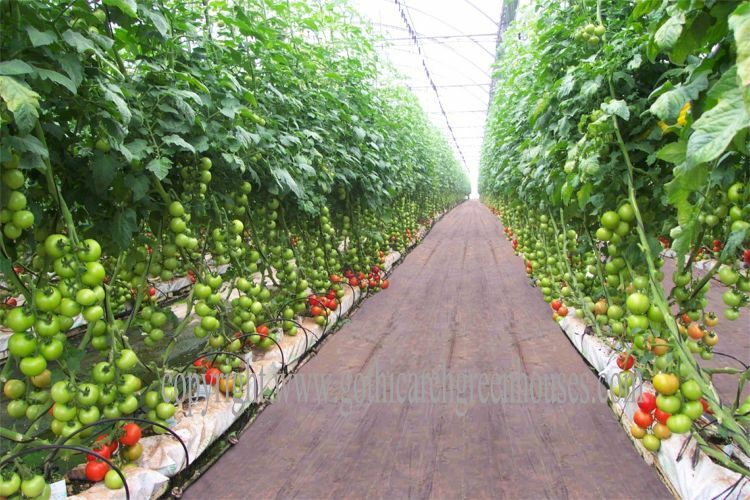 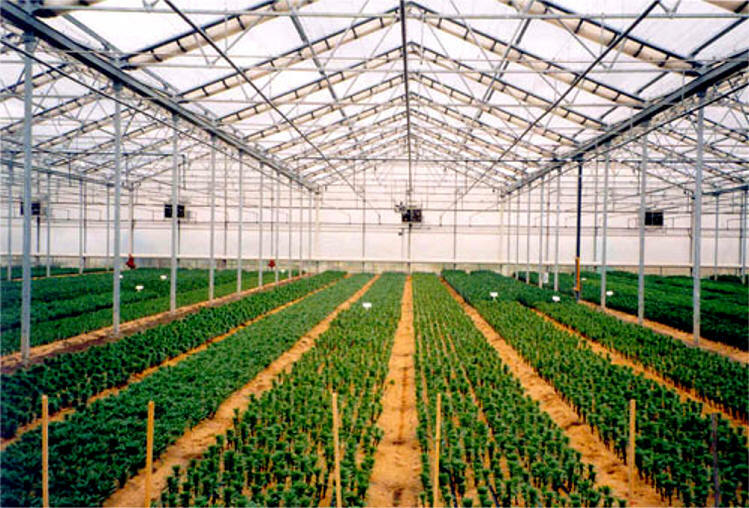 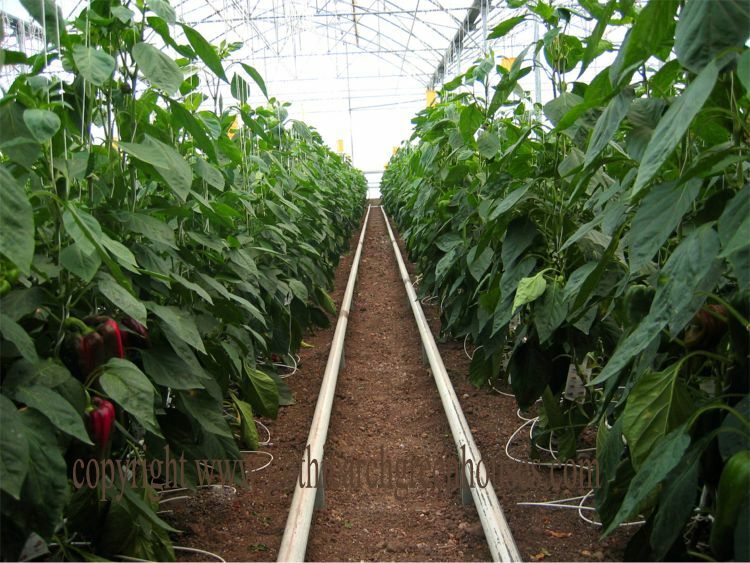 The clear curtain can also be used in the summer to provide cooling by intercepting the infra-red radiation while still allowing plants to receive high light levels.